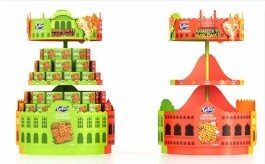 Bengaluru-based multi-disciplinary design firm KREO Design has designed and executed a vibrant and colourful kiosk for Rusher’s that exudes all that the product stands for – cool, trendy, casual and colourful -- while engaging, exciting and educating the customers on the product pricing and offers. Flip Flop brand Rusher’s has recently opened their retail kiosk at Forum Mall, Hyderabad. The vibrant and fun shop-in-shop kiosk showcasing trendy Flip Flops with the tagline ‘make your own style’ has certainly managed to drive in shoppers looking to add a dash of style to their casual look. Adhering to the small store format, the 12 feet by 12 feet store has been modelled as an experimental kiosk, allowing customers to easily navigate around the store. The kiosk is made using various elements including metal, wood plyboard, MDF, paint, lacquer, glass and printed vinyl. The unit is compact and uses space optimally leaving room for the billing counter and iconic props, such as the coconut palm replicas. These manage to drive home the imagery of a typical beach holiday – a destination that the Flip Flops are best suited for. 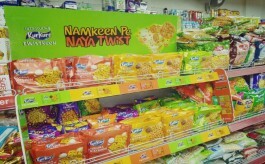 The interior also houses the shelves for products display. 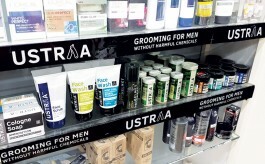 The kiosk is designed and executed by a Bengaluru-based multi-disciplinary design firm KREO Design and the idea was to position the brand with an international identity. “The kiosk design seamlessly complemented the relaxed and joyous mood of the Flip Flop collections, allowing for memorable and unique visual merchandising opportunities. The result was that we were able to create more than just a kiosk; we recreated a novel and vibrant highlight destination within the mall. In many ways, this helped create a new aspirational level for the Flip Flops,” she added. By going for a retail kiosk strategy, KREO Design essentially wanted to promote brand awareness and loyalty, and lead the customers to a more holistic and enhanced buying experience. Additionally, as the products are Flip Flops, the kiosk helps in creating a good opportunity for impulse buying, and thus generating more sales. According to Thaker, positioning the kiosks at strategic locations also helps the brand to reach more customers in a cost-effective manner. The kiosk can be positioned based on the customer journey and direction of the mall visitors,for high visibility and impact of the brand. Unlike a store, a retail kiosk strategy helps the brand offer more services at a lower cost. “By saving on rental and structural costs, the business and in the process the brand, is able to invest more on the customer experience and service to the customers. With an impactful kiosk design, it encourages more footfall from mall visitors and thus leading to better store performance,” Thaker highlighted. “Since it was an open kiosk located on the mall floor, importance and consideration had to be given to product / kiosk security after the closing hours, for which we incorporated a pull-down shutter mechanism for the space,” she added. KREO has so far designed and executed one kiosk for Rusher’s, with more in the pipeline in the near future.